She’s an eight year-old girl who loves creating art and going on nature walks with her mom, Cherie. This summer she wants to go camping. In fact, she says it would be her dream Best Day Ever. Charlie-Anne is also on the Canuck Place program. She was diagnosed with SMA Type 1 when she was six months old. 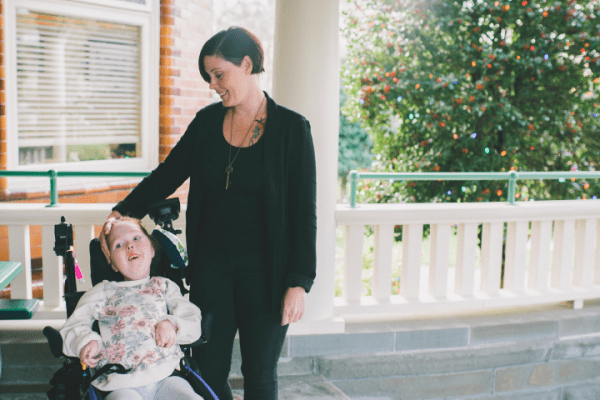 This genetic disease weakens muscles and makes it difficult for Charlie-Anne to hold herself up, talk, swallow and breathe. She uses a powerchair, portable oxygen, and a feeding tube. All of which can be problematic on a camping trip. Canuck Place holds annual camping trips, and Charlie-Anne and Cherie hope to attend for the first time. They’ll roast marshmallows, sleep in a cabin, and explore nature, just like Charlie-Anne dreamed. You can make provide these experiences for Canuck Place children like Charlie-Anne by donating today. You can send her camping. You can provide a life-changing adventure. You can give her a day without pain.